The Slikhaar Guys do it again. When the Emil and Rasmus Vilain Albrechtsen (of Slikhaar TV fame) send me new product to try, I'm always ready to dive right into it. If you've read my review of their Hanz de Fuko products, you know I think they promote some seriously good stuff. Their latest offering, By Vilain Dynamite Clay, is no exception. This is one of the more interesting products I've tried (and somewhat similar to Hanz de Fuko Quicksand) in that it gives the hair great lift and volume. It offers a matte finish with a medium hold and gives amazing texture -- even in fine, limp hair. The product stays flexible throughout the day so you can still move your hair around if you’d like. The texture of the product is slightly gritty, so it really gives hair a completely matte, highly textured finish that is still, oddly, lightweight -- it’s great for those who like the way their hair looks “the morning after.” After using this product on myself and several clients, I've discovered it is really great for giving hair that "day at the beach" look-- lots of gritty texture and separation and a matte finish. Because of the nature of this product, I would suggest using it only on dry hair for maximum effectiveness and hold. Another thing is that, for Dynamite Clay, very little goes a long way. If you need more hold or control, add more product, but start sparingly at first. To get the most out of any pomade or wax, start by applying a small amount to the palm of your hand and work it around until your hands start to get warm and then apply it to the hair. 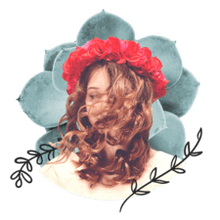 Dynamite Clay can also be used on virtually any hair type -- for fine hair, use a bit less product (for thick hair, use a bit more). And, while I recommend, using this product on dry hair, you can add it to slightly damp hair and dry it in position with a blow-dryer. Overall, the product is very easy to work with. It's not too thick, so it is very workable (but work fast before the product sets up). I did find I preferred to shampoo twice to remove all of the product from the hair, but that's a minor issue. The product's fragrance is light (and a little bit like cookie dough). Now, here is the kinda bad news. If you live in the states, you may find it hard to get your hands on the stuff. You can order it online from slikhaarshop.com, but it will take one to three weeks for delivery. Some may also find it a bit expensive (currently, the cost is around $21 USD for a 2.2-ounce jar), but a little really does go a long way with this product, so I think the cost is fair. 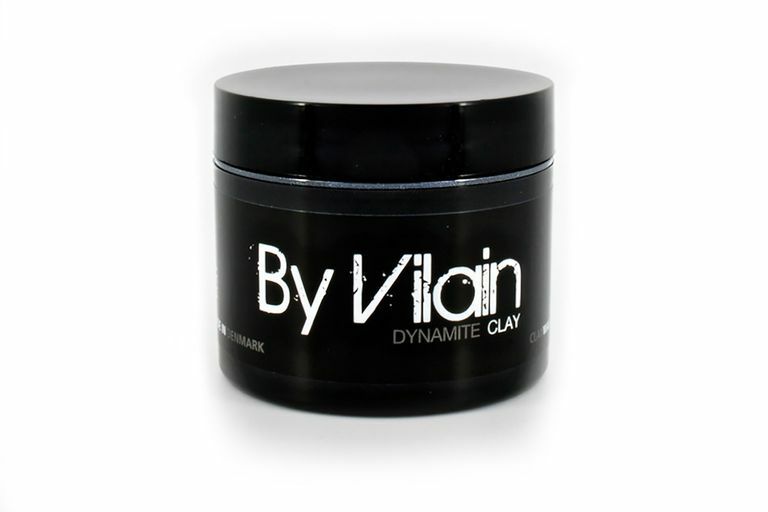 If you are looking for a men's styling product that is going to give you solid hold and great texture with a matte finish, you're probably not going to find a better option than By Vilain Dynamite Clay. he product performs well, holds up throughout the day, and is quite versatile. I highly recommend it. If you aren't familiar with Emil and Rasmus, by the way, you should look them up. They are two good looking guys with impossibly great hair from Denmark and they offer a ton of useful (and entertaining) videos on their wildly popular Slikhaar TV YouTube channel. They are also founders of Slikhaar Studio, a popular salon in Denmark.